The Toronto Maple Leafs currently sit last in the NHL when it comes to actual points. Now, the Edmonton Oilers have played four more games than the Leafs. That means in terms of points percentage, the Oilers have the actual advantage when it comes to finishing last at the end of the season. With the lottery setup the way it is, if the end of season standings are the same as they are now, the lowest the Leafs could fall is fourth overall. Even if they were to finish the second, they could only to fall to the fifth spot. So lets look at the Leafs’ history at picking in the first five selections on an NHL Draft. It has happened on ten occasions in their history. With the very high possibility that the Leafs will be picking in the top five again, who will be joining this group? Martin was drafted fifth overall in only the second NHL Amateur Draft. A Toronto-born right winger, Martin would only play three games with the Maple Leafs in the 1967-68 season. He scored one goal but would never play in the NHL again. Drafted fourth overall, Wright would go on to play four seasons in the NHL. However, none of them would be with the Leafs. He would play for the Vancouver Canucks, St. Louis Blues and Kansas City Scouts. He would go on to score 16 goals and added 36 assists for 52 points in 127 total games. Third times the charm. With their third top five pick, the Leafs finally picked a player that would have an impact with the Leafs. Playing seven seasons with the team, he lies just outside the top ten in points. 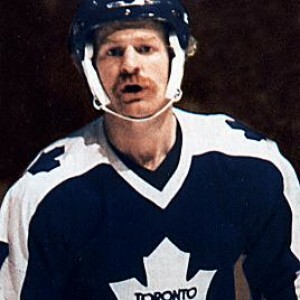 Unfortunately, his tenure with the Leafs came to an end way too early when he was used as a pawn in Harold Ballard’s feud with McDonald’s friend Darryl Sittler. He would be traded to the Colorado Rockies and would eventually win the Stanley Cup in 1989 his final season. He would play 1,111 games, scoring 500 goals and recording 506 points for a total of 1,006 points. One of two players on this list to be drafted third overall, Nylund played four seasons with the Leafs before signing with the Chicago Blackhawks. While that doesn’t seem like big news, it was notable because it was the first occurrence of a player leaving a team via free agency. After playing two and a half seasons with the Blackhawks, he was traded to the New York Islanders, where he spent another four seasons. He played 608 games, scoring 32 goals and recording 139 assists for a total of 171 points. The first defenseman the Leafs picked in the top five, Iafrate turned out to be quite the pick. He would be the second Leafs’ top five pick to play seven seasons with the team and would go on to play for the Washington Capitals, Boston Bruins and San Jose Sharks. He played 799 games, scoring 152 goals and adding 311 assists for a total of 463 points. Those totals could have been higher had injuries not derailed his career, forcing him to retire at the age of 32. The first time the Leafs had the first overall pick, the used it to take a player who would go on to become one of the most loved Leafs of all time. Clark would go on to have three separate stints with the team. He would also be the return in the trade in which they acquired Mats Sundin. Clark would also captain the team from 1991 to 1994. His rough game did shorten his career though. He scored 330 goals and recorded 234 assists for a total of 564 points in 793 games. 1989 did not go well for the Leafs. What makes it worse is that they had three first-round picks that year. In what was a rather weird occurrence, all three picks were used on players from the OHL’s Belleville Bulls. The first pick was at third overall and the Leafs used the pick on Thornton. He would play only 33 games with the Leafs but has played the second most NHL games out of any top five pick by the Leafs. He played for the Edmonton Oilers, Montreal Canadiens, Dallas Stars, San Jose Sharks and Los Angeles Kings. In his 981 NHL games, he scored 144 goals and recorded 141 assists for a total of 285 points. 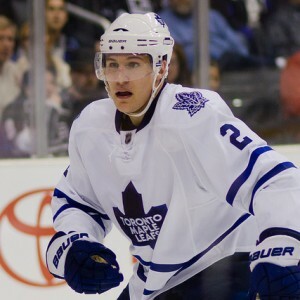 The Maple Leafs were slated to pick seventh in the 2008 Draft, but traded up in order to select the last of the big four defenseman that year in Schenn fifth overall. While he was once lauded as a future captain of the Leafs by then-general manager Brian Burke, he didn’t exactly fulfill his potential in Toronto. After four years in Toronto, he was shipped off to Philadelphia in return for James van Riemsdyk in a deal that has worked out rather well for Toronto. He was able to play with his brother Brayden for a couple of seasons before being dealt to LA this season. Four years after taking Schenn, the Leafs took another defenseman fifth overall. Three years into his NHL career, Rielly has quickly become one of the better and arguably the best defenseman to come out of his draft class. He will be the leader on the Leafs defense for years to come. While every Maple Leafs fan was disappointed when they found out that the Leafs were just one ping pong ball away from winning the lottery and the right to draft Connor McDavid, Marner has turned out to be quite the consolation prize. Marner has dominated the OHL this season and pretty much looks out of place. With the rule keeping him out of the AHL for next season, it would not be a surprise to see him begin his career with the Leafs next year. So the Leafs have had some success picking in the top five, as every team should. However, there have been some misses. They have also traded several of the players away. Hopefully, this next pick works out.